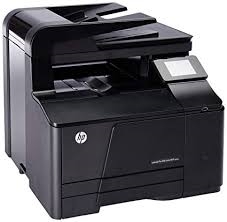 Simplify office tasks with the HP LaserJet Pro 200 All-in-One Printer. This wireless-enabled multifunction printer provides touch screen access to business apps. The M276nw LaserJet printer has the ability to deliver stunning color prints and quickly and accurately copy, fax, and scan. This machine ships with power cord only. Toner and connectivity cables must be purchased separately.